Order a book signed by Sally and Jim from the footer below. We’ll drop one in the mail to you today! 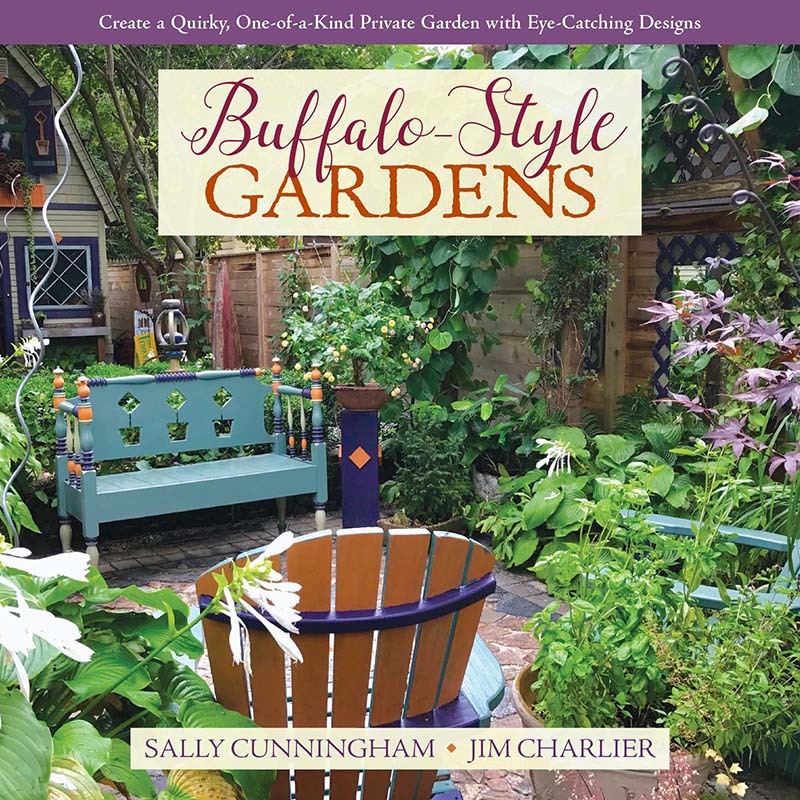 Buffalo-Style Gardens is a one-of-a-kind, offbeat garden design book that showcases the wildly inventive gardens and gardeners of Buffalo – and offers readers “the best of the best” ideas to use in their own small-space gardens. Interested in buying for friends, family or as client gifts? Order a carton of 20 through St. Lynn’s Press today at a 40% discount off the cover price – email St. Lynn’s Press, or call (412) 466-0790. To order books at wholesale rates, in cartons of 20, email St. Lynn’s Press, or call (412) 466-0790.